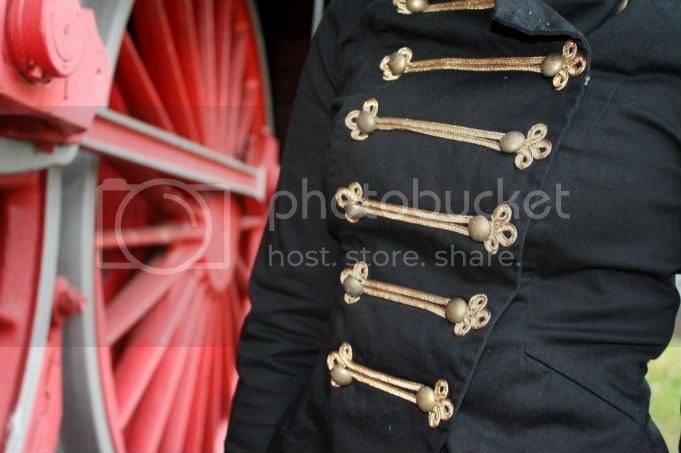 Mode Junkie: it's all about the details. it's all about the details. must have been the reds and the golds. suprisingly, these DIY boots haven't had lost a single stud since the day i made them. so proud. in spite of the full closet i have, there's always nothing appropriate to wear. i hope i am not the only one having this problem. if yes, then i am sooo pathetic. 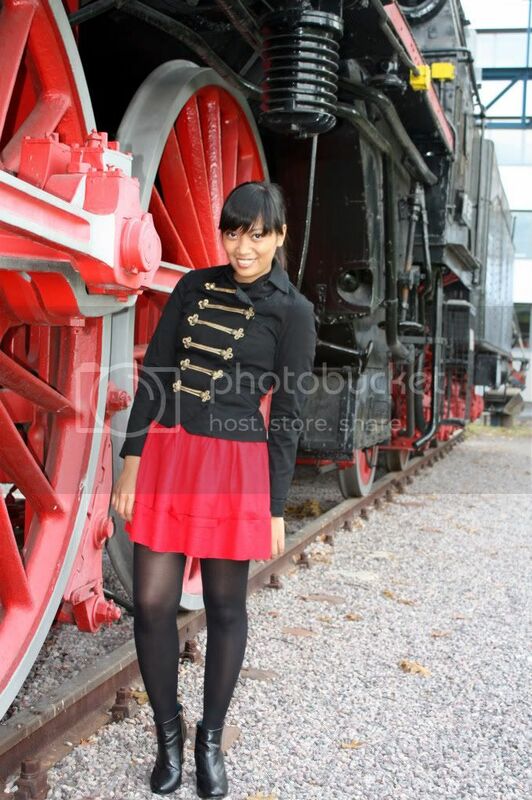 this is what i wore to work on sunday (this happens twice a year in germany where shops are open on sundays!). i love this time of the year since we're given a 50 euro gift voucher and we're allowed to shop one hour before the stores open! what do we think about the pink docs? do you work at H&M???? hmmm.. i prefer the black docs more but they're definitely striking! love those studded booties. and where are those tights from? i love them! so so so great!! i love them!! here in argentina doc are soo expensive.. so im considering to get a pair a lot cheaper lol! What an amazing location for your photos! Love the DIY boots! & your work outfit is stellar, the pink boots are a nice touch. I really love the first outfit! and I'm jealous at the jacket I saw the last one ofcourse also in my size being bought right in front of me! I wanted to steal it .. I need a red skirt just like yours! It's so perfect. And pink Docs rule. Seriously, bubblegum pink is the best colour ever. the docs look amazing with this outfit! love how you coordinated the brassy gold. I love the first picture! this entire post is perfection! 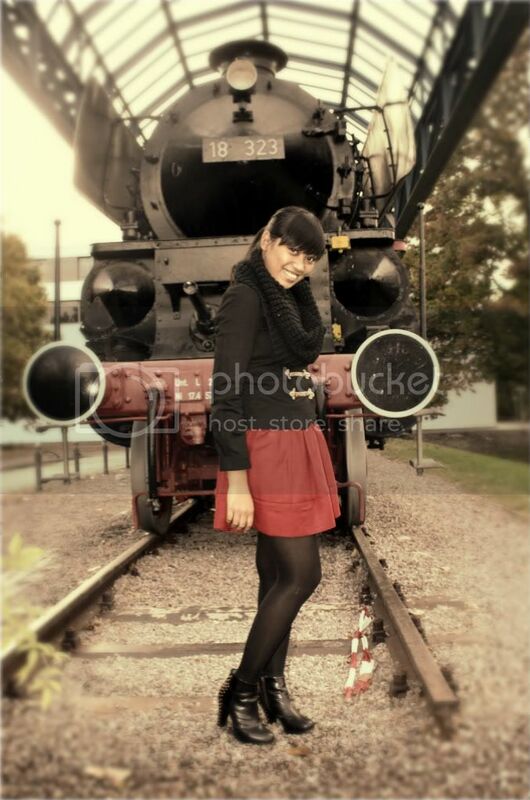 I love the photos with the train behind you, the first picture is awesome. wowowowowowow i love the photos. best backgrounds ever!! am was hoping you'd wiggle on it. looks cute. hihihiihi. That dress would be perfect paired with black tights and black shoe and some headdress. Wow!! Beautiful shoes in both outfits!! I love the boots! And I´m really jealous that you´re able to wear such nice clothes during work! ive got exactly the same boots from doc martens (: theyre great but im using them not so much! modejunkie at home on halloween. same outfit, different shoes and acc. miguel, can mommy borrow your room please?